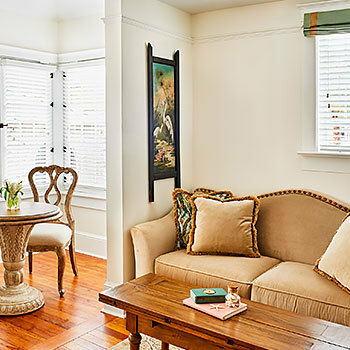 Individually appointed, The Collector's spacious Emerson suites blend modern conveniences with an array of period details. 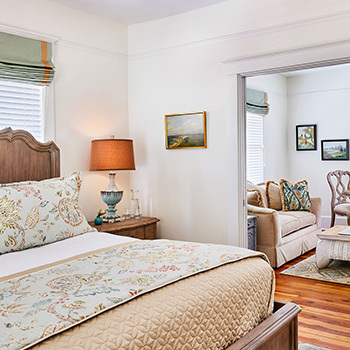 Located in each of the hotel's nine historic buildings, these suites range from 242 to 519 square feet and are furnished with either a king or queen bed. 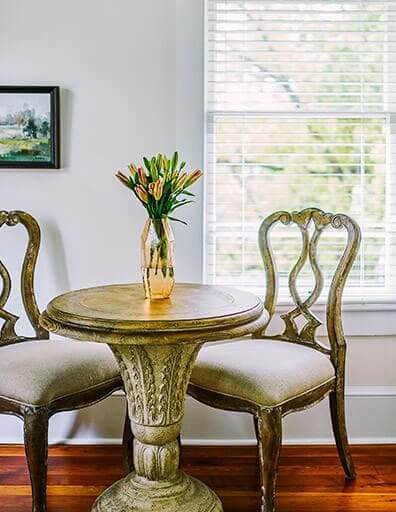 Many have restored hardwood floors, stained glass windows, and shared verandas or patios overlooking the gardens, courtyard or surrounding tree-lined streets. 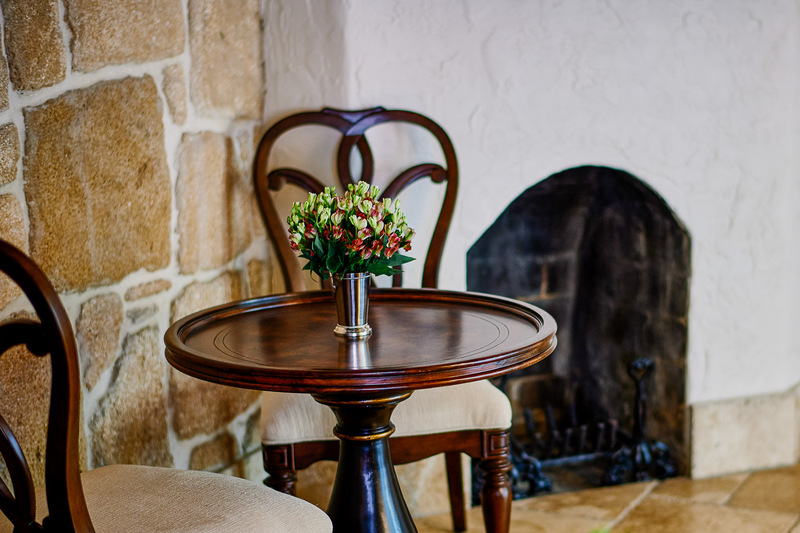 Each of our rooms are individually-styled for a unique experience, while hosting the same level of comfort and quality. Please note not every room we have to offer is featured here. 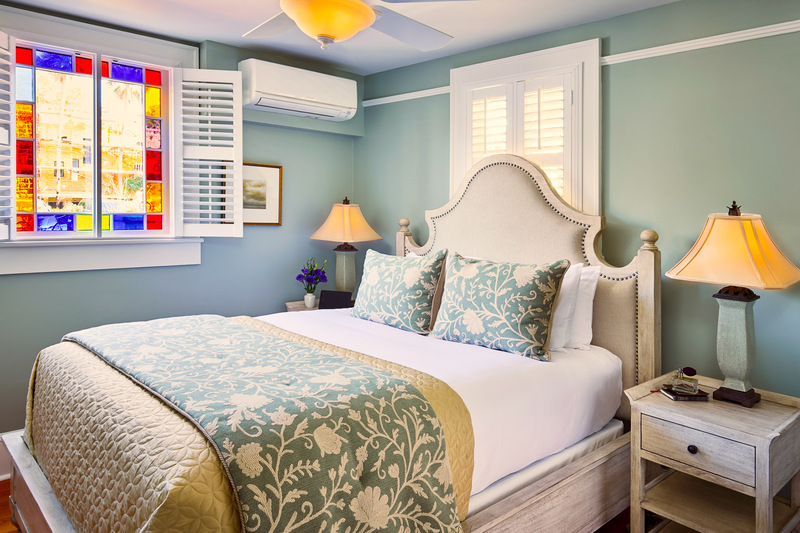 Our Emerson Queen Suites includes a queen bed with a separate seating area, sofa sleeper and kitchenette with granite countertop. 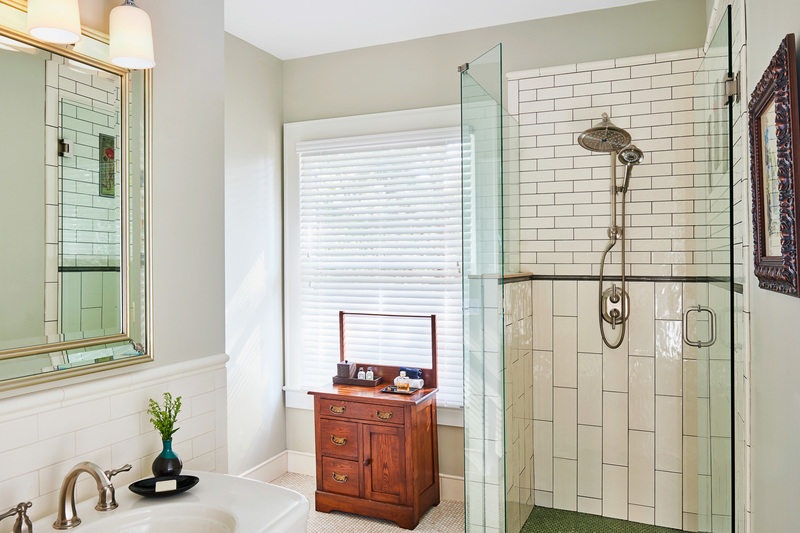 The oversized bathroom features a walk-in shower with rainwater showerhead and decorative pedestal sink. 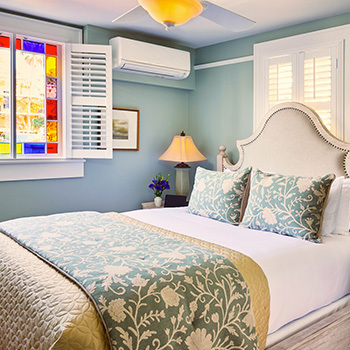 The Emerson King Suites include a triple-sheeted king bed, separate sitting area with sofa sleeper and kitchenette. 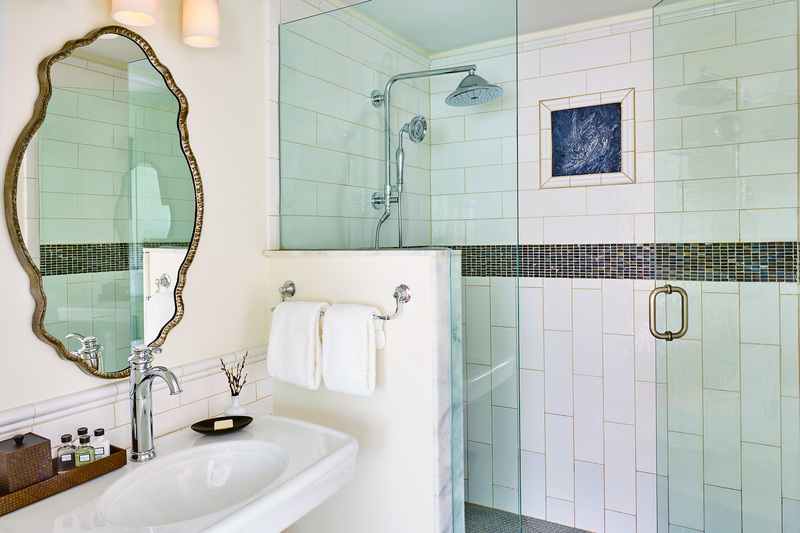 They also include spacious bathrooms that are outfitted with high-end finishes along with a walk-in shower. 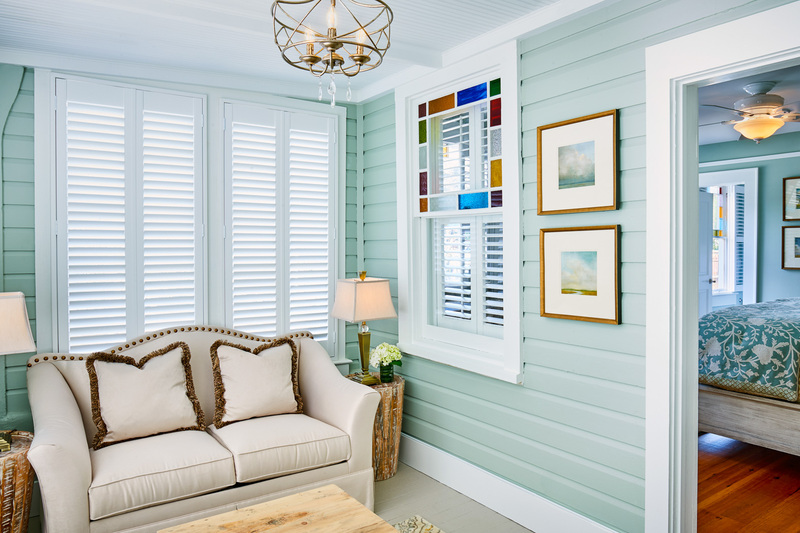 The Emerson Veranda King Suites afford an opportunity for both indoor and outdoor living. 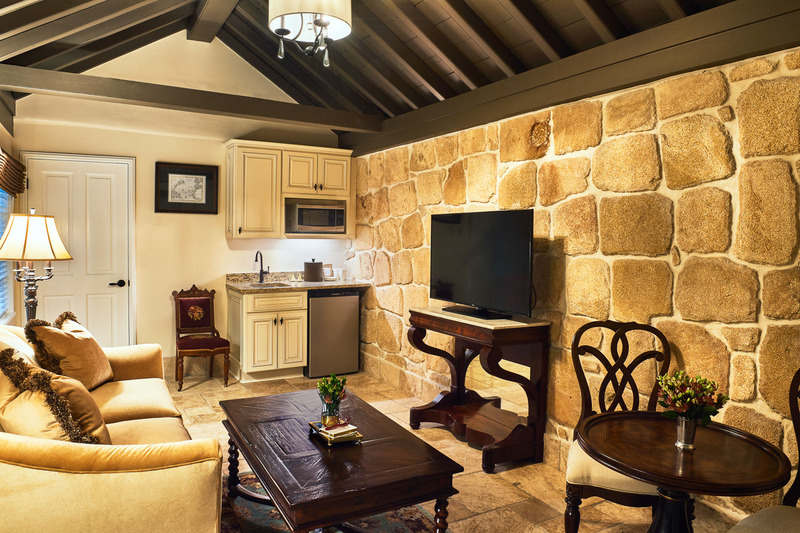 These suites feature a king bed, kitchenette, separate sitting room and tiled bath with walk-in shower. The adjoining private veranda affords tranquil views.